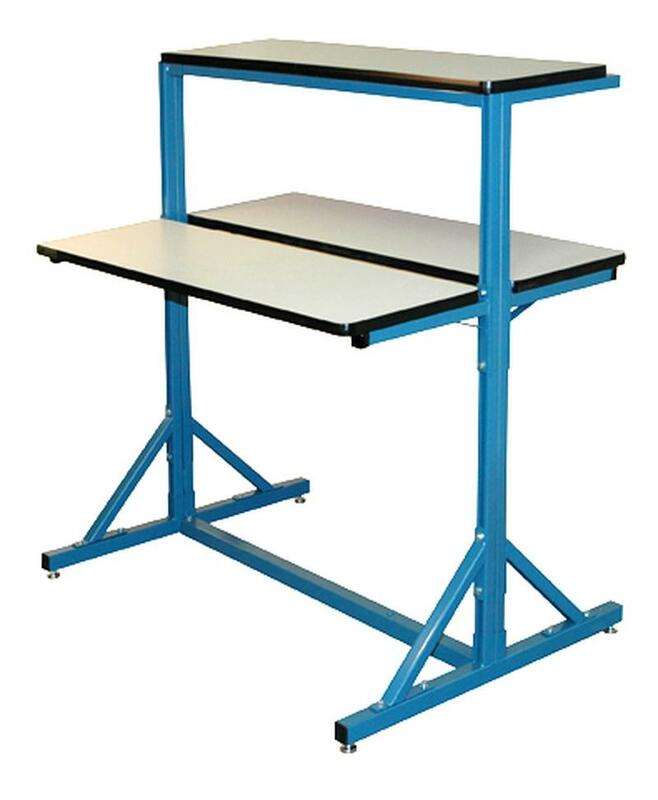 This type of conveyor shelf unit comes standard with (2) seperate adjustable height plastic laminate shelves with steel supports that adjust in height on the support uprights. Adjustable shelves can mount on either side of the vertical support to create a shelf unit perfect for any application. The top shelves are fixed @ 72" high and are also 18" deep. 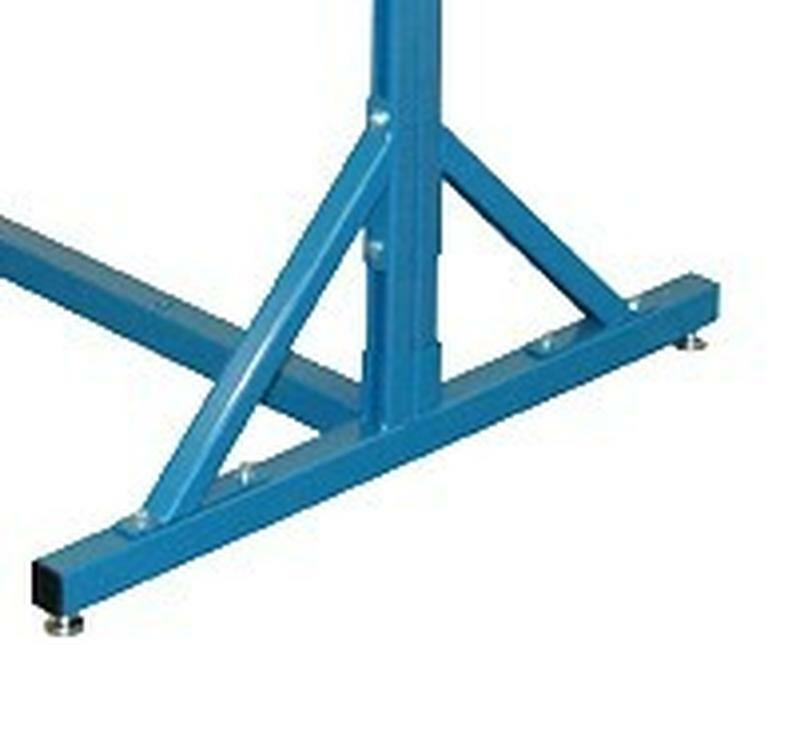 Conveyor units are available without the fixed top shelf if necessary. All box tube conveyor shelf units have a 38" deep footprint that make a stable structure no matter how the shelves are configured.